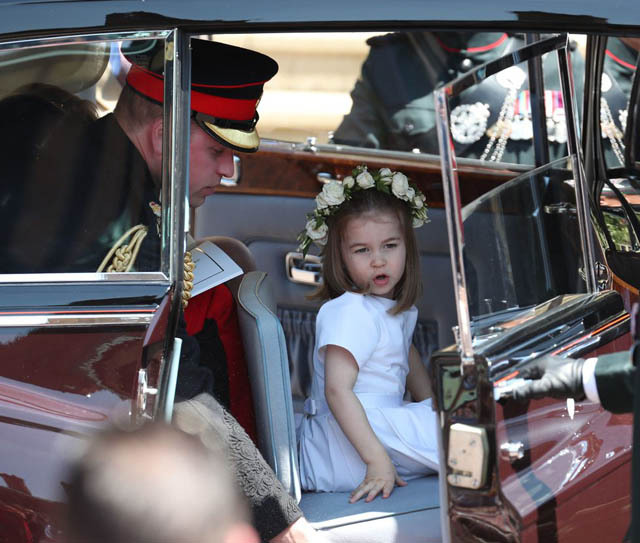 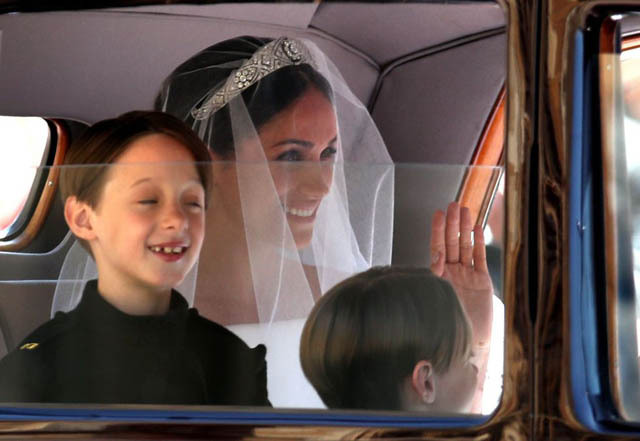 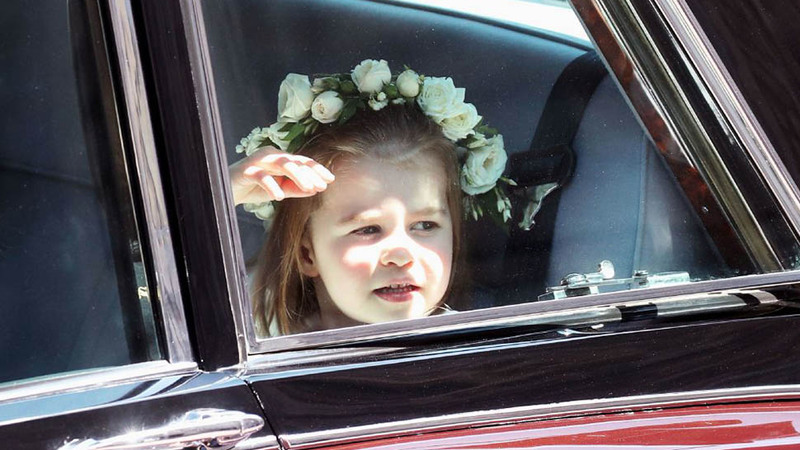 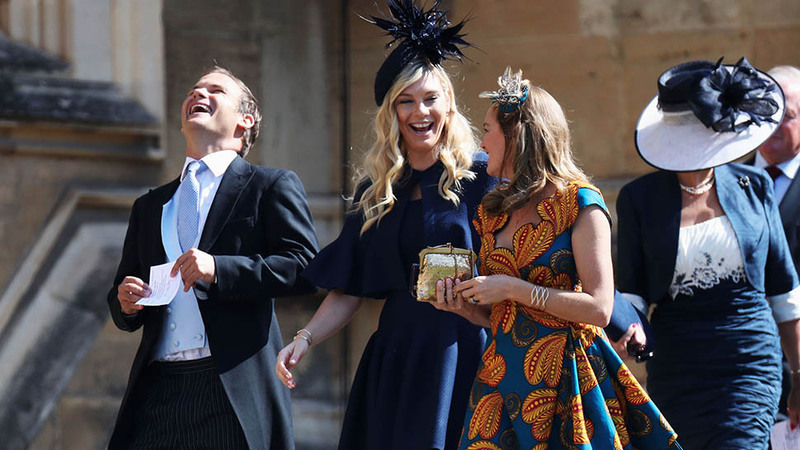 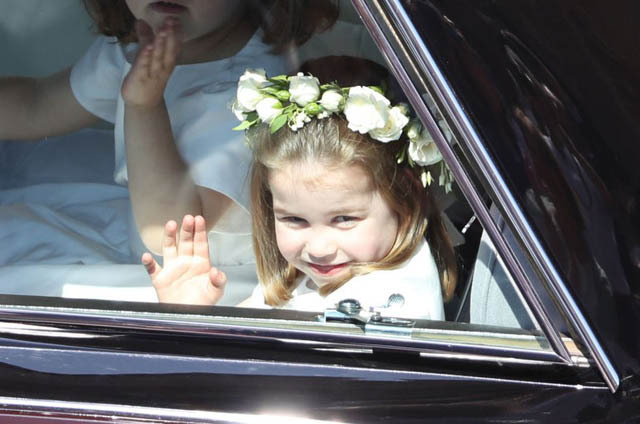 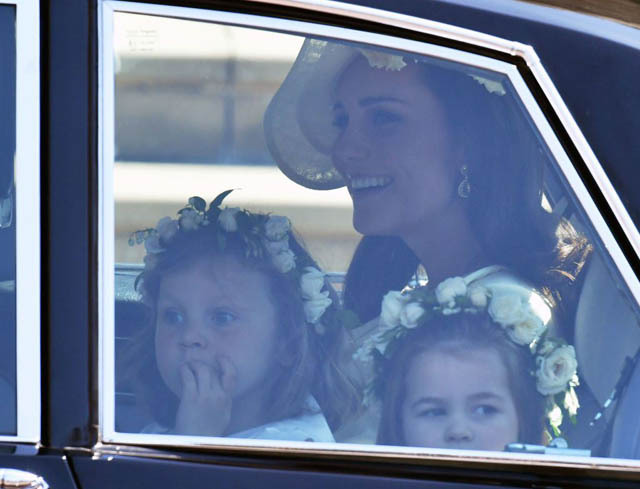 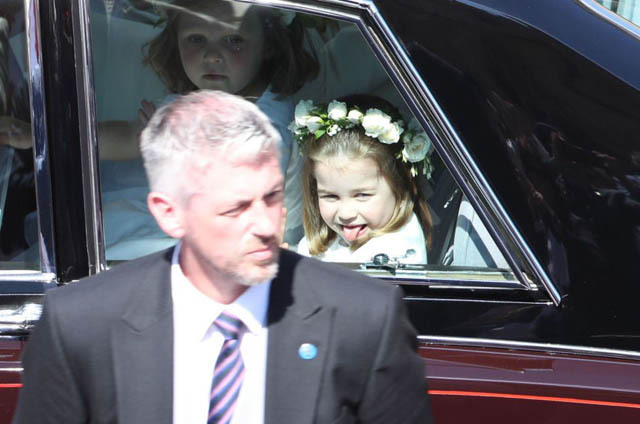 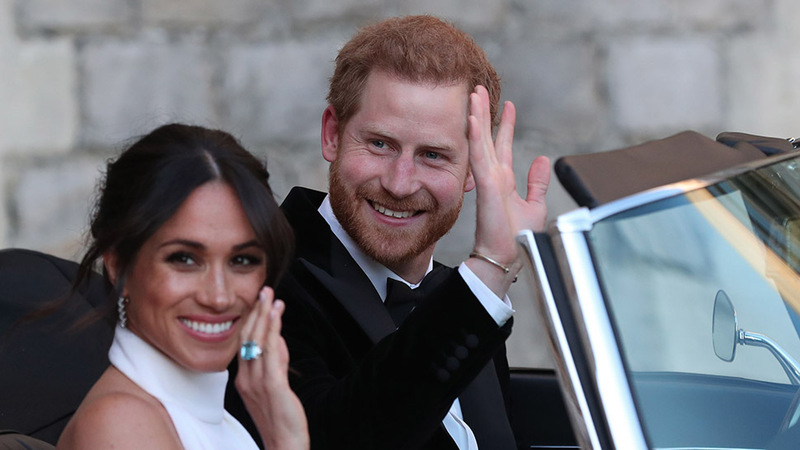 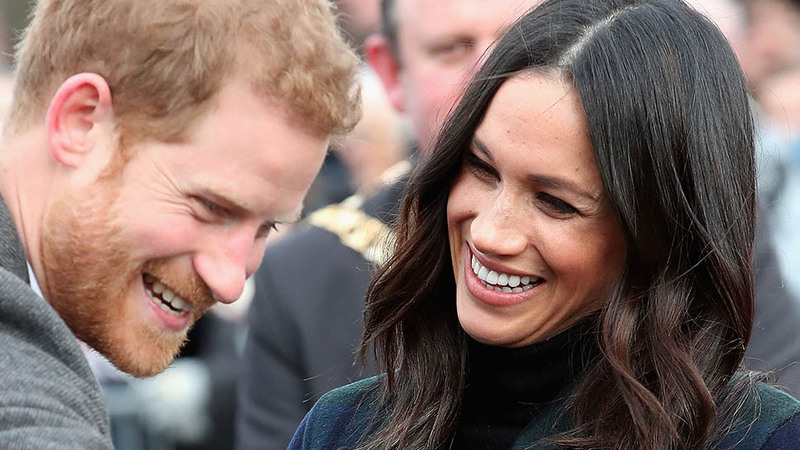 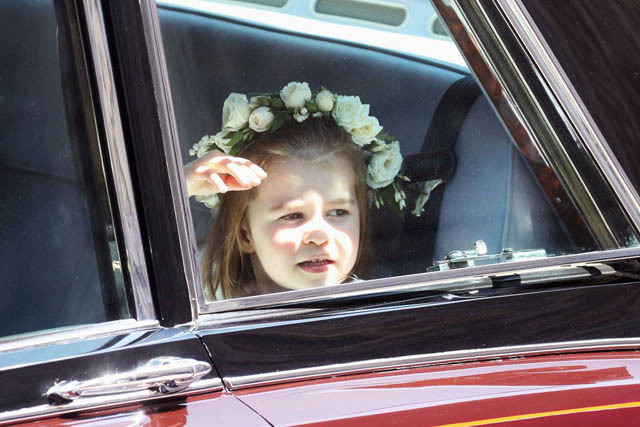 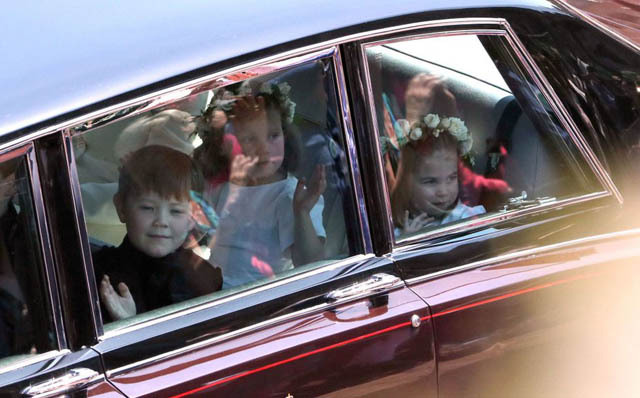 They drove along the procession route, where Prince Harry and Meghan Markle later took a romantic carriage ride after the wedding. 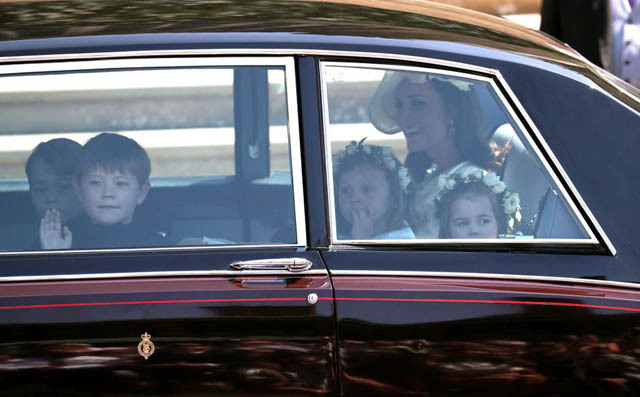 One of the page boys waves to the crowd from the car window. 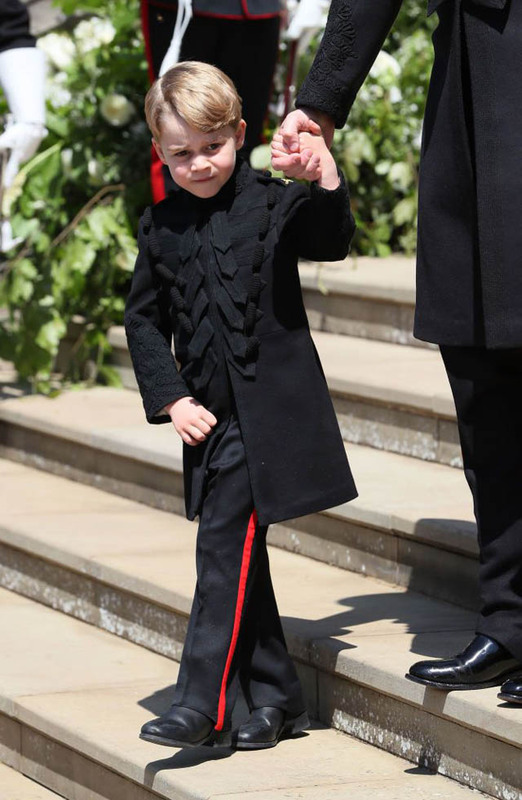 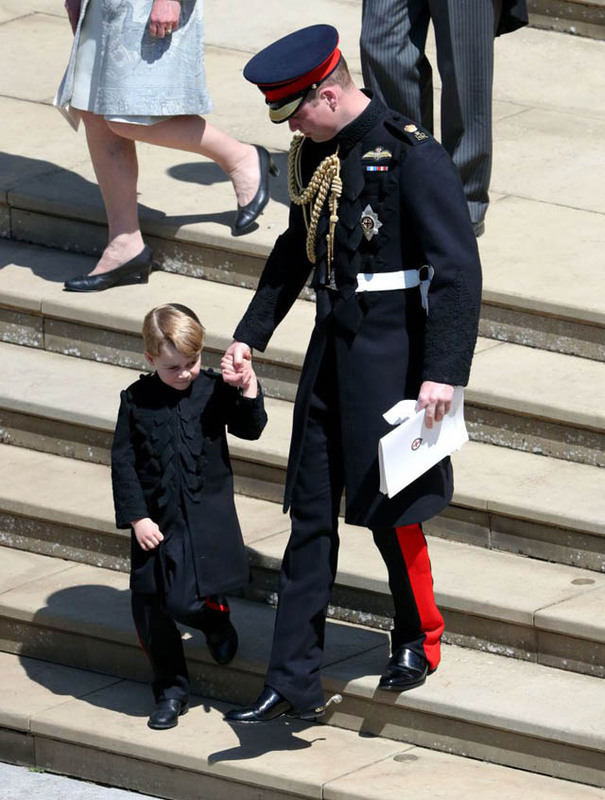 The entire list of page boys included Prince George, Jasper Dyer, and Brian and John Mulroney. 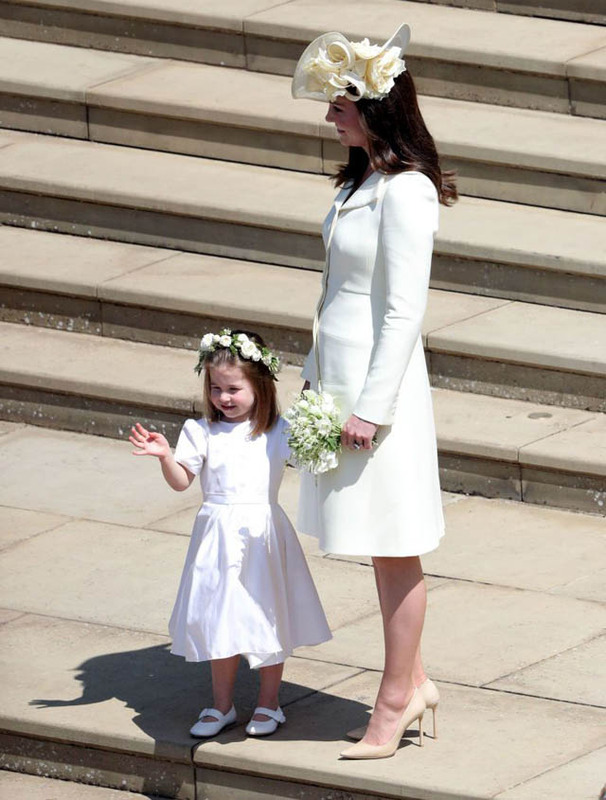 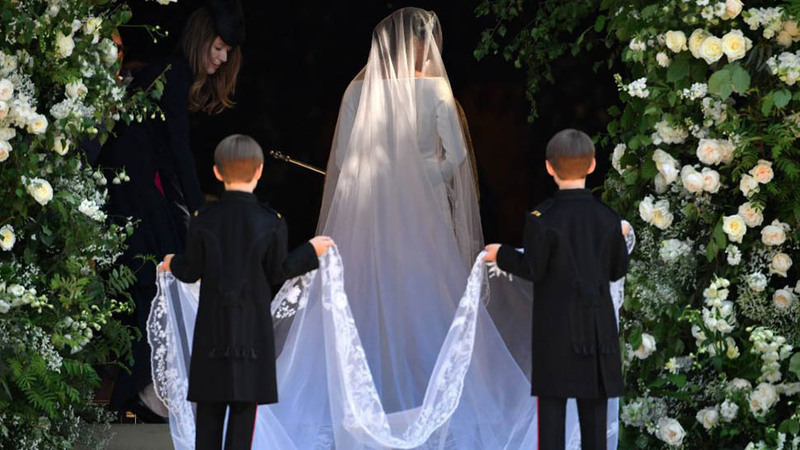 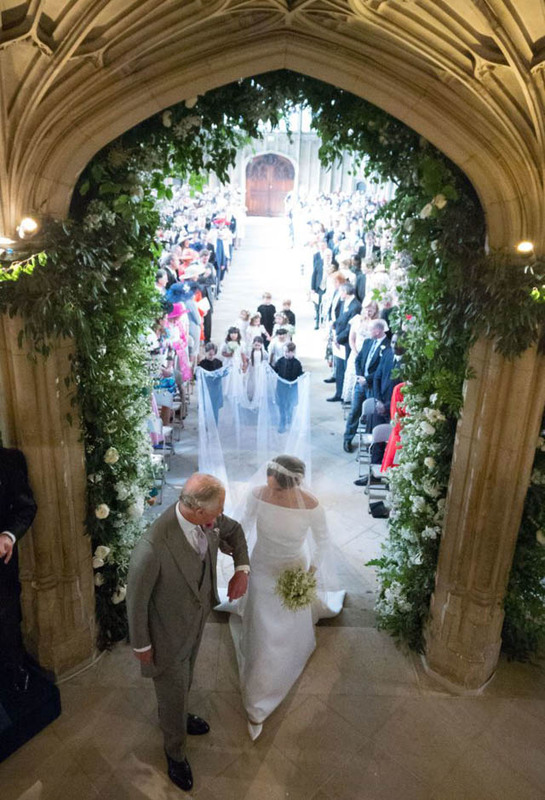 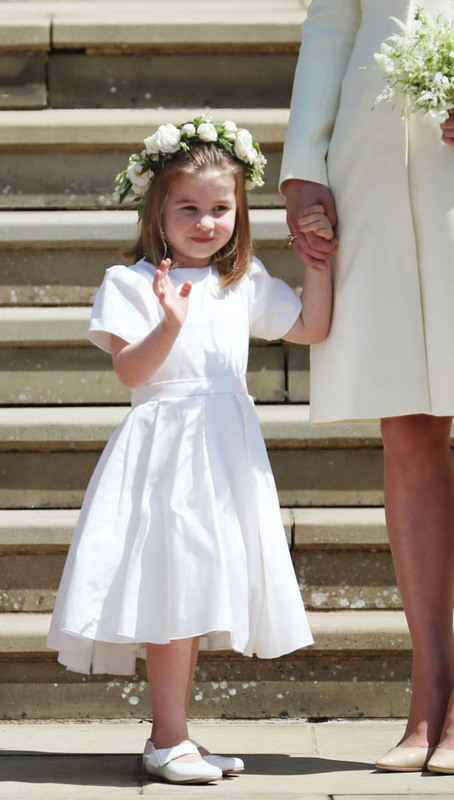 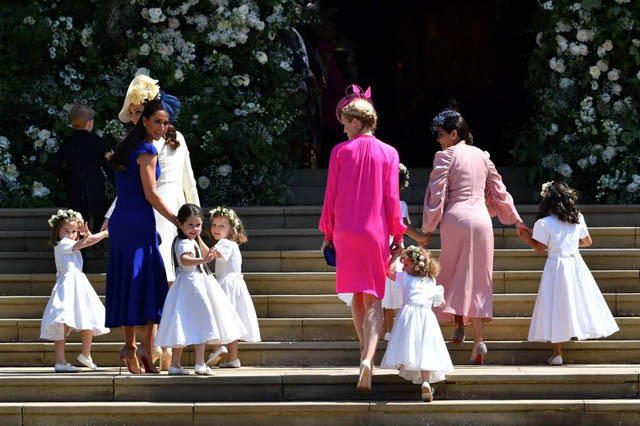 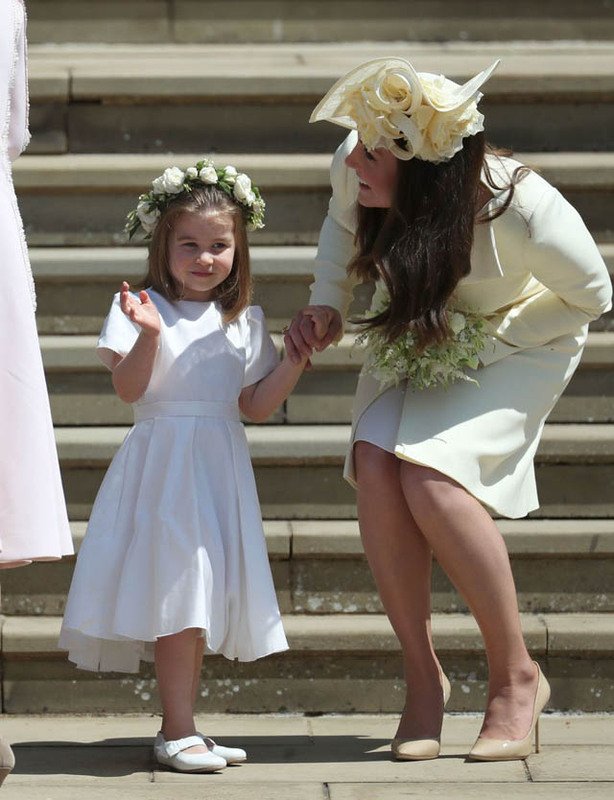 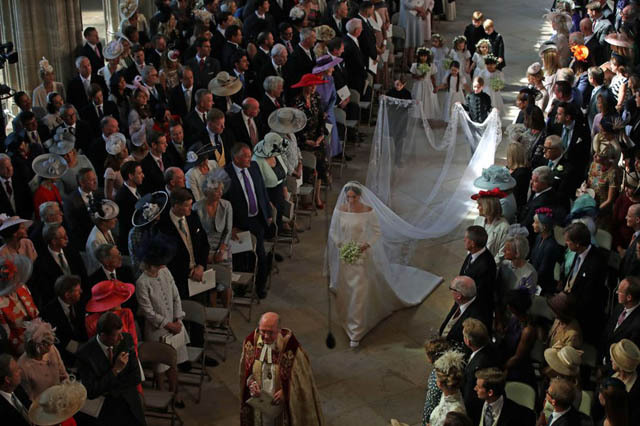 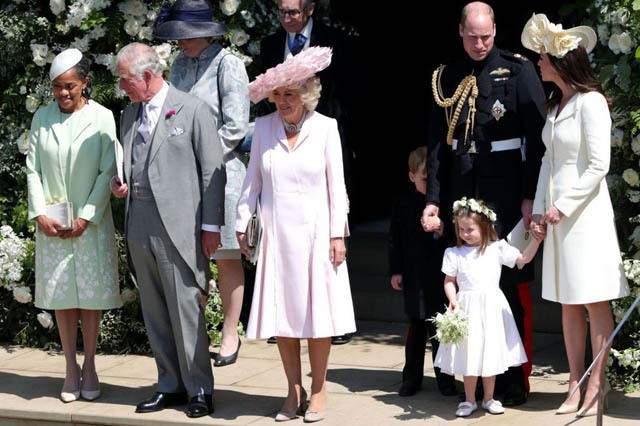 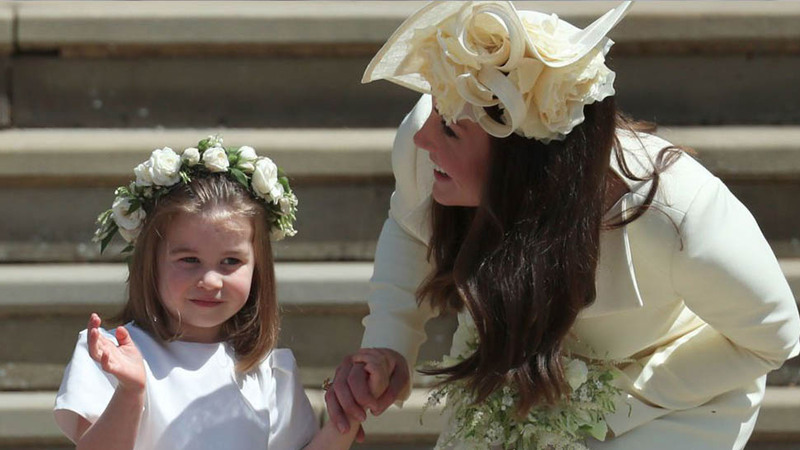 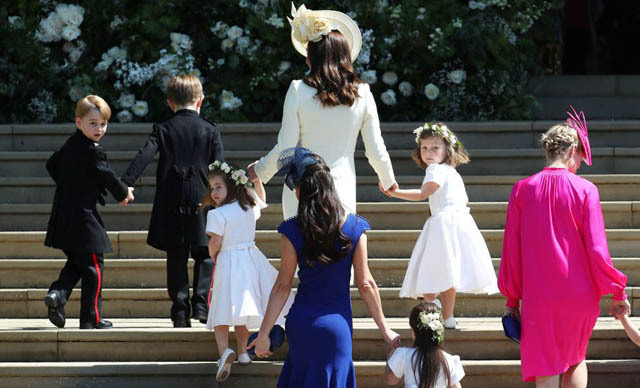 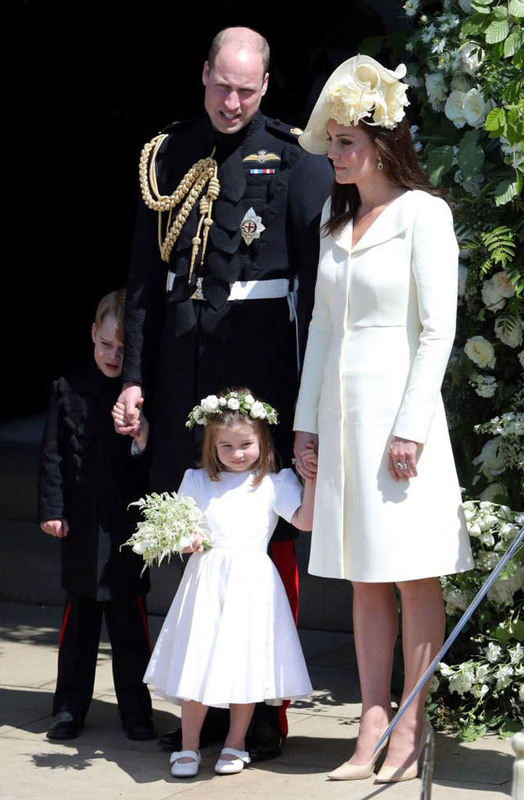 Meghan's close friend Jessica Mulroney was one of the four ladies escorting the bridesmaids and page boys into the Chapel. 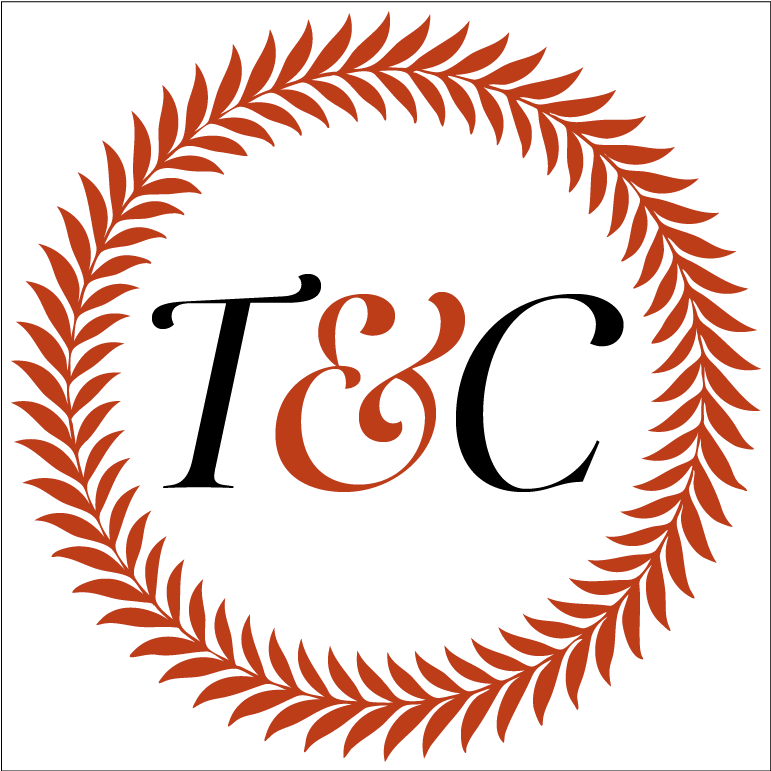 Get to know Mulroney here. 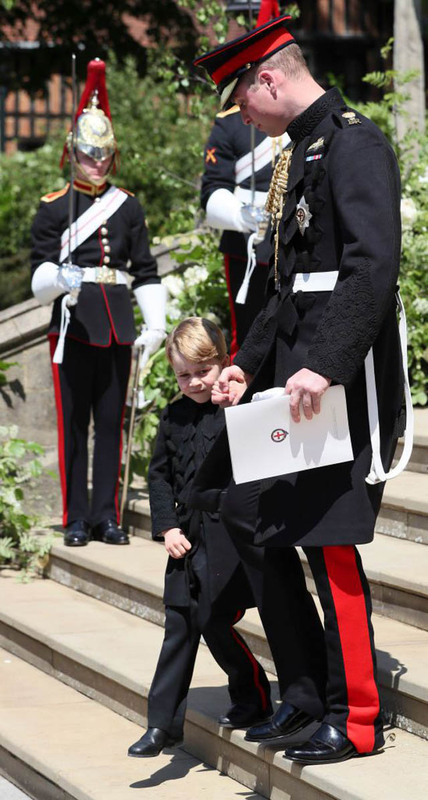 The page boy looked so cute on the big day.